The Spirit of the LORD is with me. In the Old Testament, there were times when God would give his Spirit to someone when he had a tough assignment for them. We read in Judges 9 that Caleb’s little brother, Othniel, became a judge for the Israelites. God raised him up to deliver the Israelites from slavery to the King of Aram Naharaim. “The Spirit of the LORD came on him” and he led the fighting men into war. God’s Spirit made Othniel strong and courageous. As believers today, we live under the New Covenant with God. Now, the Holy Spirit comes to live inside of each of us when we accept the salvation Jesus freely offers to each of us. God’s Spirit is with me every minute of every day. His Spirit wants to make me strong and courageous, too. 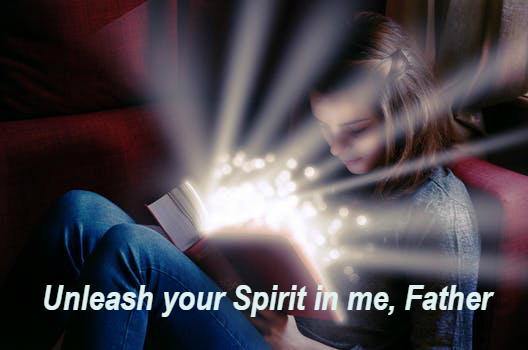 All of this is inside me – I just need to let God’s spirit have his way in my life. If you are a believer, all of these great things are inside of you, too. It’s time to nurture them and let the Spirit show. Thank you for the awesome gift of your Spirit, Abba Father. Loved this post! And I especially liked your description of our new covenant with God and receiving his spirit. As I endure my trials and my journey in faith, I feel His spirit growing within me!